Whether you are looking for new job or developing in your current role, building trust is critical to developing business and maintaining powerful relationships. Successful business happens through building trusting relationships, so this is a fundamental aspect, yet at times we don’t consciously spend that much time thinking about building these important relationships. Dr. Stephen R. Covey (The 7 Habits of Highly Effective People) created a powerful metaphor called the ‘Emotional Bank Account’, which works in a similar way to a regular bank account. We make deposits, save up money, and when we need that money, we withdraw it. An emotional bank account is an account of trust instead of money. It’s an account based on how safe you feel with that other person. This means listening intently to what the other person is saying and empathizing with how they may feel. It’s important to care for others and act with kindness toward them. How do you feel when someone arrives right on time when you have a meeting? How about when people simply do what they say they will do? You build up an emotional reserve by keeping your commitments. We are not mind readers, and yet we consistently expect others to know what we expect of them. Communicating our expectations can help create a higher level of trust. When we ask for what we want, and we get it, we can then trust a little more. Don’t you find that the little things tend to become the BIG things when they do not receive our attention? Doing the little things is how we honour and show respect for others. Small kindnesses, a smile, a little extra effort, and a hug, doing something you didn’t “have” to: these are the things that build trust. Integrity is the moral floor upon which trusting relationships are built. When we operate with sound moral character, it makes it so easy for others to trust us. We will make mistakes; it’s part of life. But when you see you have violated a trust, sincerely apologizing is how we make a deposit to counteract the damage we have done. When your trust level is high, because you’ve made lots of deposits, communication is almost effortless. You can be yourself, and others understand and appreciate you. Then, when you make mistakes or offend someone unexpectedly, you draw on that reserve and the relationship still maintains a solid level of trust. Conversely, when you are discourteous, disrespect others, interrupt others, speak sarcastically or ignore others, your emotional bank account becomes overdrawn because you have jeopardized the trust level. When the trust level is low, you have to be very careful of what you say; you tend to be more political. Our most precious relationships (with our spouse, kids, friends, boss and clients) require constant deposits, because those relationships continue to grow and change, and with these changes come new expectations. If you have an important client, you build the deposits so if you do make a mistake, the trust level is still high. As a marriage evolves, your roles and responsibilities may change, and your work and home lives may change over time because of career changes or kids moving out or back in. These relationships require constant investment. A question to ask yourself is if you had to list your relationships and rate each one in terms of your emotional bank account, where do your investments stand? Are you making enough deposits for the really important relationships, be it at work or your personal lives? We encourage you to try this same exercise. It really helps to pinpoint where you should be investing more to build healthy and trusting relationships. Suzanne is a Career and Executive Coach, as well as a true facilitator, helping people to realise their potential to move towards their desired goals. 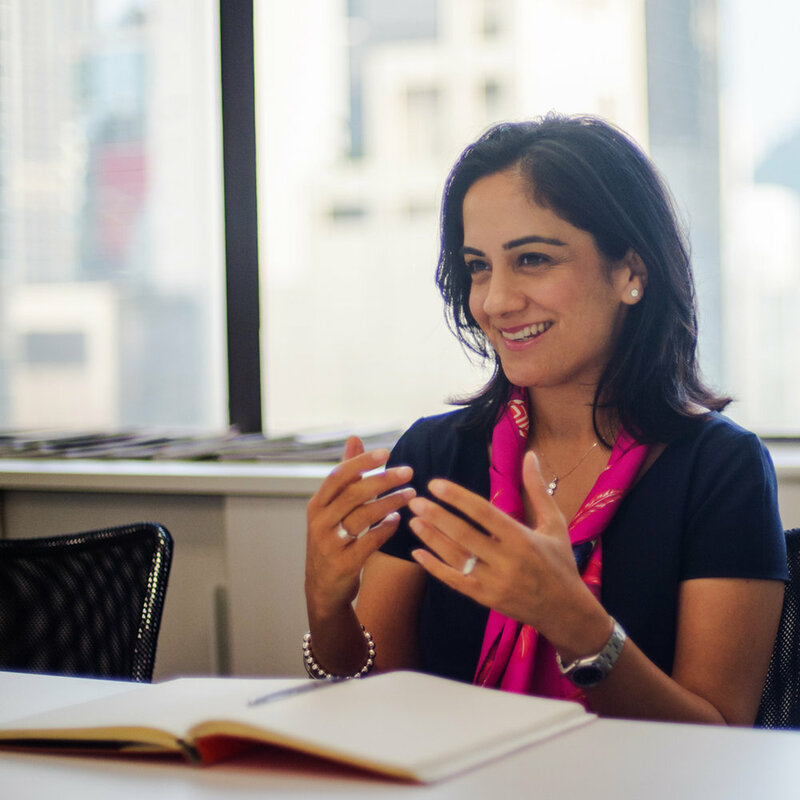 Kully is Ignition Coaching’s founder and an Executive, Career Coach and Facilitator. Kully works with new graduates and senior leaders alike, helping them find careers they love.